Grand prize winner of the 2017 Writer's Digest Awards. September 11, 2001: Javier Landes watches from his apartment window as New York City falls to terrorism. As one of Manhattan’s top-paid male escorts, this professional lover has never lacked for company and is loyal only to himself. But in the wake of 9/11, Jav is named guardian for an orphaned nephew in Guelisten and now he must open his carefully-guarded heart to pain he's long suppressed. 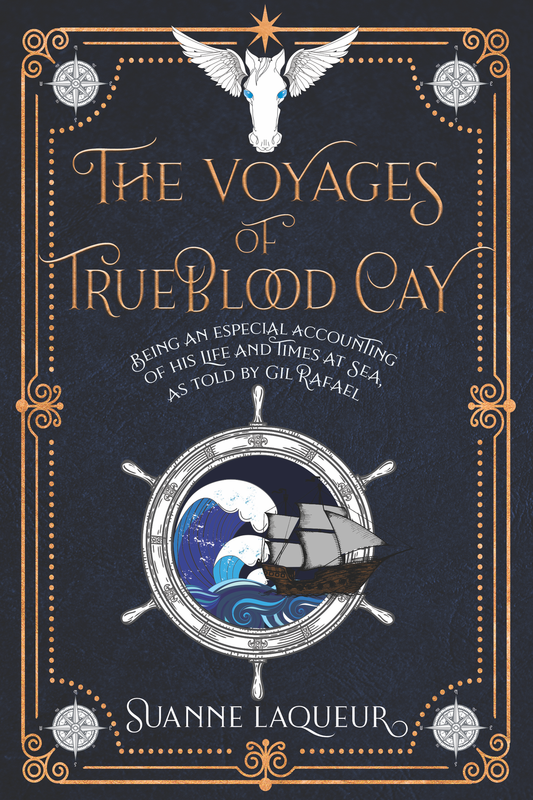 Gil Rafael is the pen name of Javier Landes, who is a fictional character in Laqueur's Venery series, and The Voyages of Trueblood Cay is the book Javier is writing throughout the series. This novel-within-a-novel contains subtle references to people and situations in Venery, however it's not necessary to have read the series beforehand. Trueblood Cay can absolutely be enjoyed as a standalone. Pelippé Trueblood is a giantsblood—one of the great mariners of House Tru. Raised on the mighty ship Cay, he’s nineteen when he’s chosen for a perilous voyage predicted in ancient prophecy. Young and unseasoned, Trueblood fears the gods may have picked the wrong man for the job. Worse, prophecy demands he be accompanied by Fen il-Kheir, and nothing in Trueblood's life at sea has prepared him for this dangerous new crew member. Click to buy Trueblood Cay direct and save $2.99 off retail price! Juleon "Jude" Tholet has survival in his DNA. His father lived through imprisonment and torture during Pinochet's military coup in Chile. As a closeted gay teenager growing up in Vancouver, Jude becomes the target of the Condor—a neighborhood bully. A vicious attack forces the Tholets to flee again, this time to Seattle. Jude cautiously rebuilds his life, but his voice is silenced, his wings have been clipped and he cannot seem to soar either in his career or his relationships. Only family remains a constant source of joy, until a DNA test reveals something that shocks all the Tholets: Jude is not their child. Stunned by the test results, the Tholets must dig into the past and re-examine their lives in 1973 Santiago and the events surrounding Jude's birth story. It’s a tale rooted in South America’s Operation Condor. It spreads through Pinochet’s military coup in Chile and his terrifying regime of detention camps, torture, disappeared civilians and stolen children. It ends with Jude digging through his genetic code in a quest to find his biological parents. Are they alive? Or are they among Los Desaparecidos—The Disappeared Ones? Suanne Laqueur’s third book in the Venery series explores the desperate acts of love made in times of war, and the many ways family can be defined. 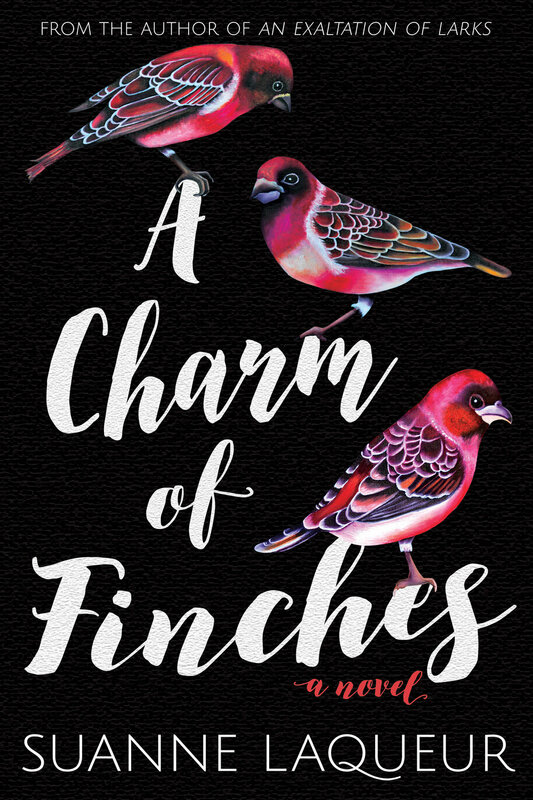 A Scarcity of Condors ultimately reunites readers with the Lark family, solving a forty-year-old mystery while raising difficult questions about the future.